We are looking for a talent and self motivated environment artist to generate high quality assets for our next projects. The applicant must be skilled in all aspects of game art creation. 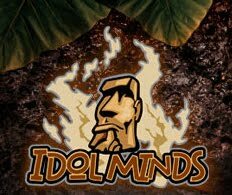 Idol Minds is an independent game developer for the PS3 and other consoles. We are ideally located in Colorado between Denver and Boulder next to the Rocky Mountains. Our company offers a relaxed and fun work environment, competitive salary, royalties, moving expenses, health and dental insurance, and a 401k plan. Our location offers close proximity to countless outdoor and metropolitan activities. We are currently working on a number of projects that share a level editor. We are continuing to add features and improve the workflow for our content creators. We have immediate positions available for full time employment. The people we're looking for are well organized, detail oriented, and enjoy working in a relaxed team atmosphere. If you are a talented and highly skilled individual with a passion for playing and creating exciting games, we would like you to work for us.